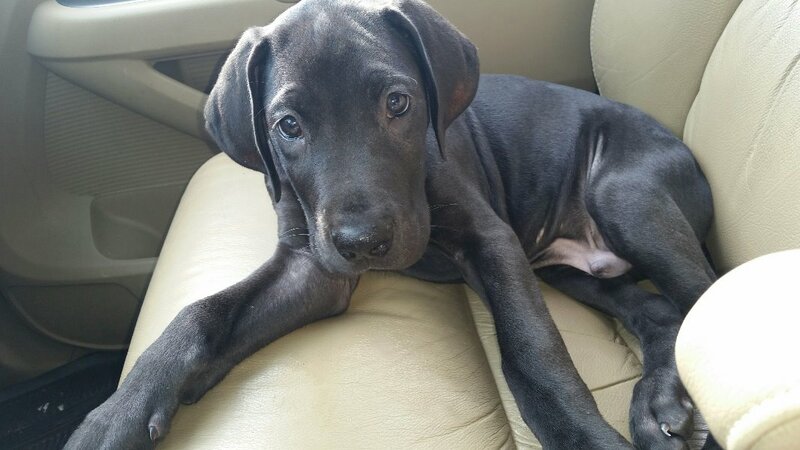 My wonderful cousin Josh gifted us the sweetest little great dane boy puppy after the loss of our 13 yr old lab mix, Emma. We were all sad and missing her and this new little baby was exactly what we needed. Josh and Regina have our puppy's brother. The two have so much fun when they get together. Brothers from the same mother. We named him Oskar Blue. First because I love the name Oskar that Jay came up with. And two because his mom Luna is a blue. He is the most cuddly and gentle puppy. The boys love him so much and he loves them. Finn calls him 'Oksa......Come on Oksa, come with me Oksa.' The two of them together is the cutest thing ever. The last couple of weeks his run has changed and he is more clumsy and goofy than his normal self. So we took him to our awesome vet, Dr Heins with Two Rivers Animal Hospital and then an amazing neurologist, Dr. Glass at Red Bank Veterinary Hospital today. He has what is under the broad title of 'Wobbler syndrome/disease.' It is a neurological disorder that without treatment will cause paralysis. The MRI to decipher how/where Oskar's cervical spine is diseased is $3500. Then surgery will be an additional $4000-$5000. As well as therapy. We are not in a position to afford any of this. We only have a few days to make a decision because within a couple of weeks the disease will progress to a debilitating stage. I feel strange asking like this, but we are desperate. He is just a baby. Our little gentle giant. He will be seven months old on March 2nd. I will do whatever it takes to get him help so he can continue to be a part of our family. We love him so much. Thank you for reading. 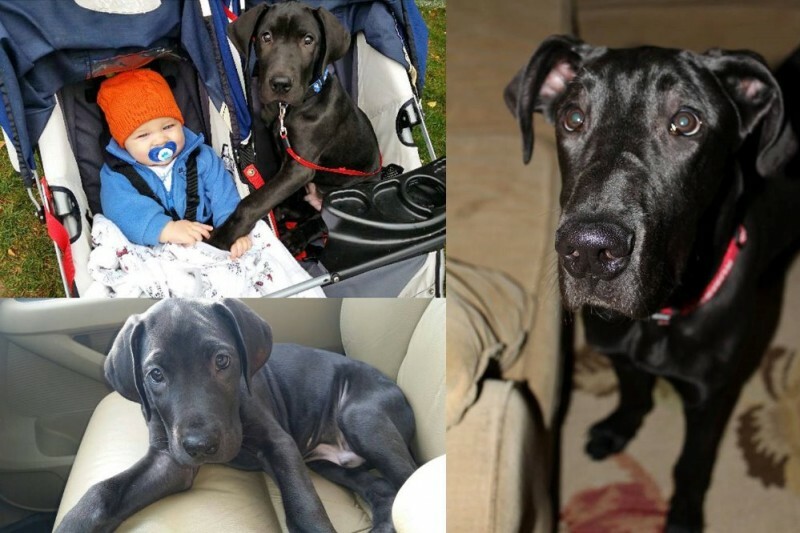 Update - Thanks to your amazing contributions, Oskar has an MRI scheduled at UPenn in Philly. With those results we will see where to go from there. There are two surgery options. The results will let us know which one he is eligible for depending on the location of the disease. We have unfortunately been turned down by multiple groups toward veterinary assistance to help with the cost of surgery. So one day at a time and we will figure it out!! Getting the MRI will be very helpful to see how we move forward in the hopes of saving Oskar!! Thank you all so much! Please continue to share. I am so grateful to everyone for your contributions, kind words, messages, and links to resources. Thank you! Thank you! Thank you! Your kindness is overwhelming. Thank you so much everyone for your generous donations. And for the messages directing me toward different resources. Yesterday and today are my 'research days.' After that we are moving forward to see what we can do to save our sweet boy. Thanks again and please continue sharing!